Knowing how you can boot Samsung Galaxy S9 in Safe Mode might come in handy. You never can tell when a third party app might start malfunctioning and you will need to boot into safe mode in order to be able to detect and fix the problem. 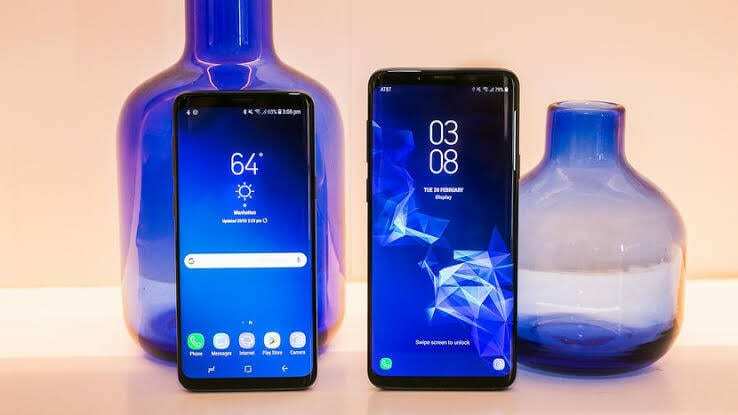 Safe mode on Samsung Galaxy S9 and S9 Plus is a safe place just like the name entails. A Safe Place away third party apps interfering with the device functionality. Although, third party apps are sometimes a life saver. They provide us with a way to do some certain things on our device that our phone manufacturer most time could not. Lets say we want to use the camera’s flashlight as a Torchlight. And our phone manufacturers did not include an app to help us turn it on. We can simply just head to the Google play store and download any flashlight app from the numerous apps on the store. Some third party apps are bug free while some come with so many bugs. We might decide to put up with these bugs for a number of reasons. One of those being that the particular app offering that particular feature we so need is the only free app on the Google play store. However, when these apps start misbehaving way too much and causing our devices is freeze or hang. How do we get to uninstall such app if we can not even get to the settings menu due to the incessant freezing ? Well that is where the safe mode comes in. In Safe Mode, only the core apps are allowed to run and all other third party apps are put in sleep mode. Furthermore, it lets you run the device more fluently, thereby letting you get to the root of the problem and fix it. The only way to stop the freezing would be to uninstall the app causing it. However, this can be a hard task as one might have so many third party apps installed. I would advice you start by deleting the recently installed app. This should be done in the safe mode to avoid lagging while in progress. ⚫ Make sure your device is Turned Off. ⚫ Press and Hold The Power Button until the Samsung Logo appears then immediately Let go of the Power Button and Press and Hold the Volume Down Button. ⚫ Hold the Volume Down Button Until the Device boots up fully. ⚫ After fully Booting Up, You should see Safe Mode at the Bottom Left Corner of the device. If not, then start the whole process from the beginning. ⚫ Now In Safe Mode, You Can Navigate to Application Manager in the Settings and uninstall the culprit. ⚫ To Come Out of the Safe Mode just Reboot Your Device. Note: You will notice that your phone runs a lot smoother in the safe mode. This is because only the core app are running. No WhatsApp or any other installed third party app running in the background eating up the RAM. Just the necessary apps. Seems Samsung got ahead of this third party app freezing and hanging your device problem. by including the safe mode option. Now that you can successfully boot Samsung Galaxy S9 in Safe Mode you can go on and Delete those apps causing your phone to lag.